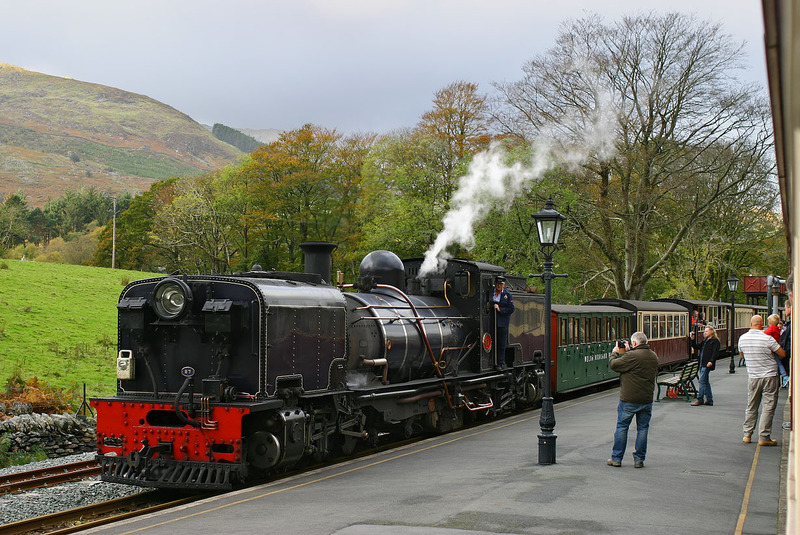 Welsh Highland Railway Garratt 87 pulls into Beddgelert station on 21 October 2014 with the 10:00 Caernarfon to Porthmadog service. Viewed from the 10:45 Porthmadog to Caernarfon train. Despite the fact that the station would presumably increase tourism, there was much local opposition to the reopening of Beddgelert station.